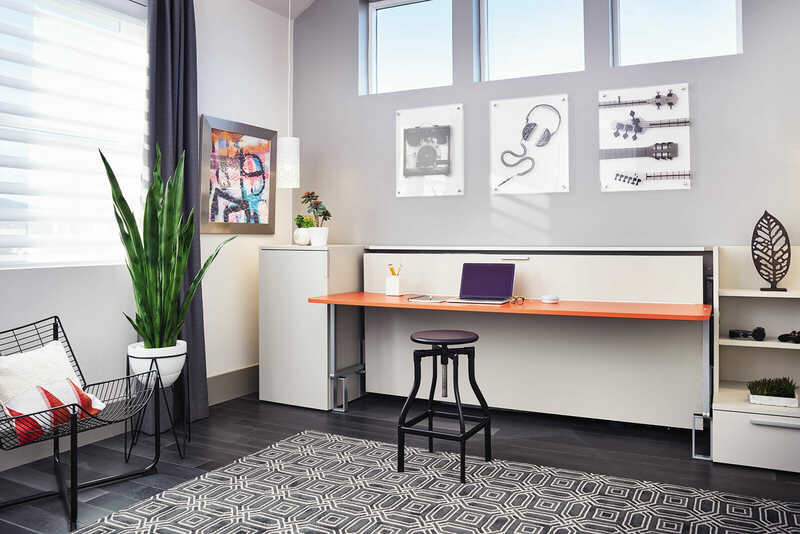 A teenager’s bedroom is both study and sanctuary; a spot to play video games, practice chords on the guitar, experiment with hair and make-up, hang out with friends, dream (or brood) alone. There may be fewer toys to store now, but there are more books and clothing — and of course there is the all-important bed, a place where even the busiest kid will crash, refuel, and awaken to another day of whatever the world has in store for her. 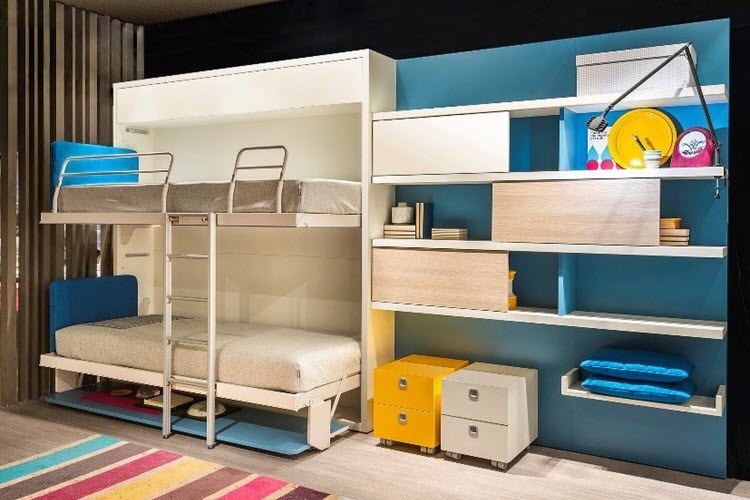 Altea Book Work and Altea Book Board are two popular choices for teens: these are twin- to intermediate-sized wall beds, both with interior bookshelves that are hidden from view when the bed is in its closed position. 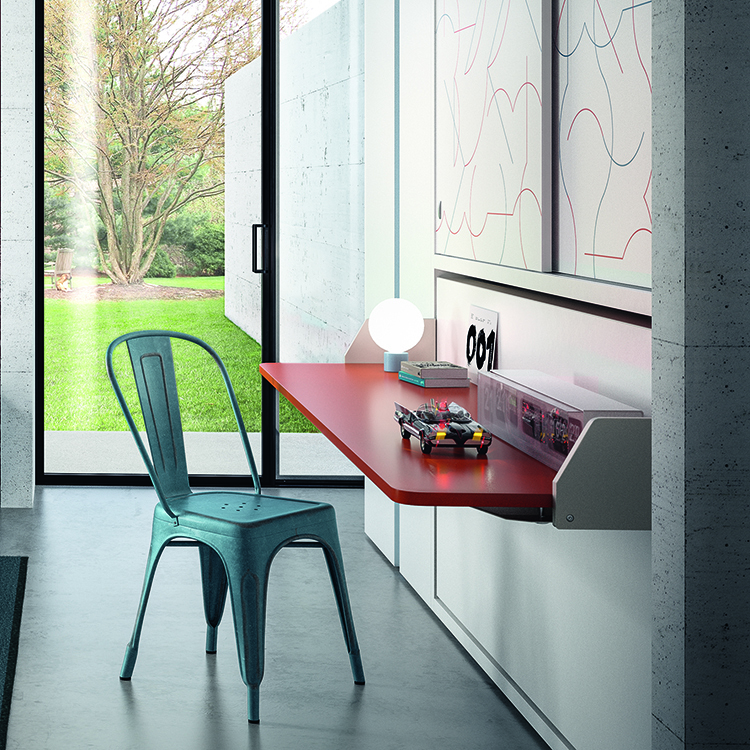 Altea Book Work includes a table that can be used as a work space. 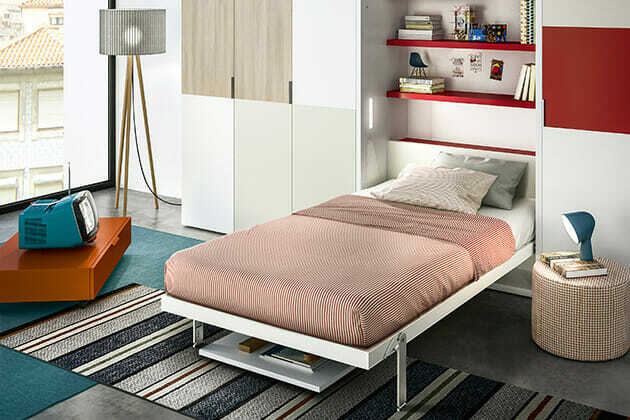 No need to clear the surface when it’s time for bed – the table stays parallel to the floor with all items stowed safely underneath; the horizontally oriented desk of the Altea Book Board does the same. 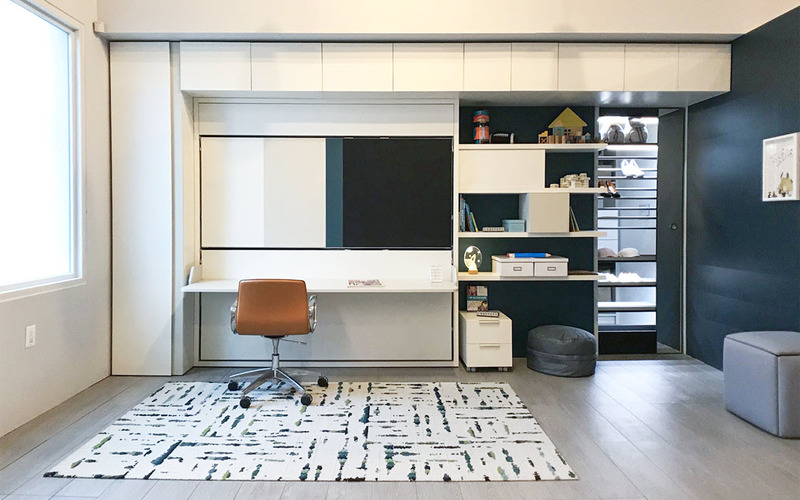 When paired with one of over 50 storage options — like a coordinating split door cabinet or tall closet — you may never have to nag your teen to clean up his room again. 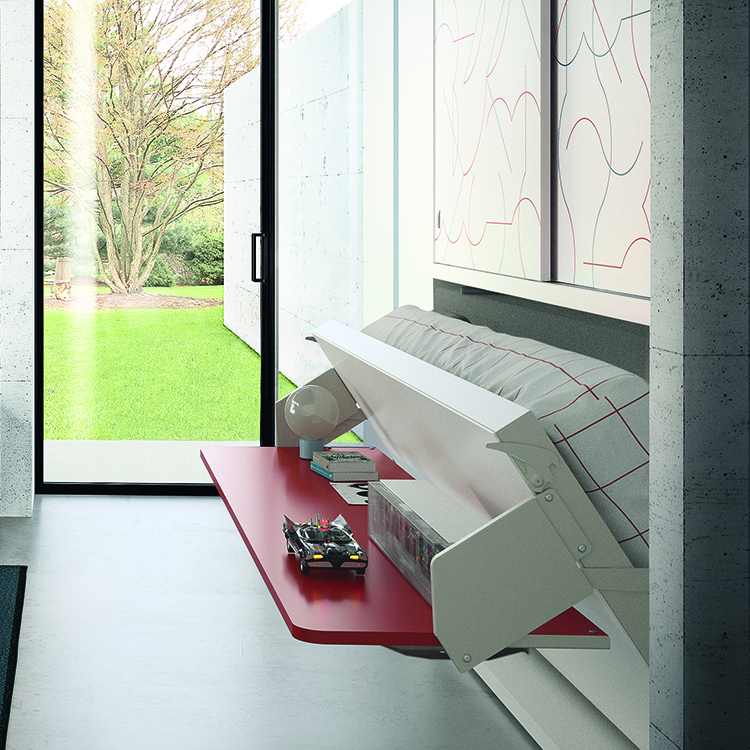 The versatile Kali series of wall beds offer even more flexibility when it comes to designing spaces fit for teens. If you’ve got two, the Kali Duo Board fits the bill. 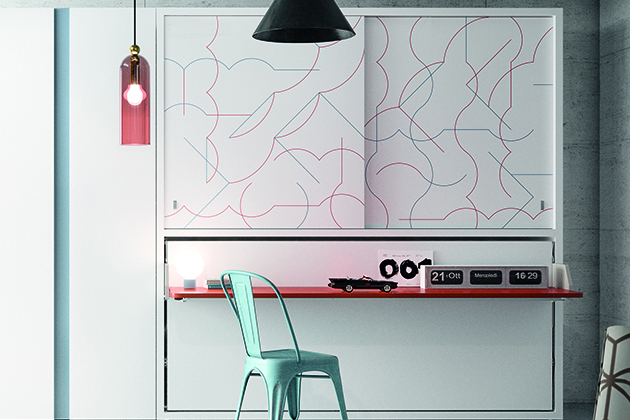 By day, the 85” desk provides more than enough surface area for siblings to share. 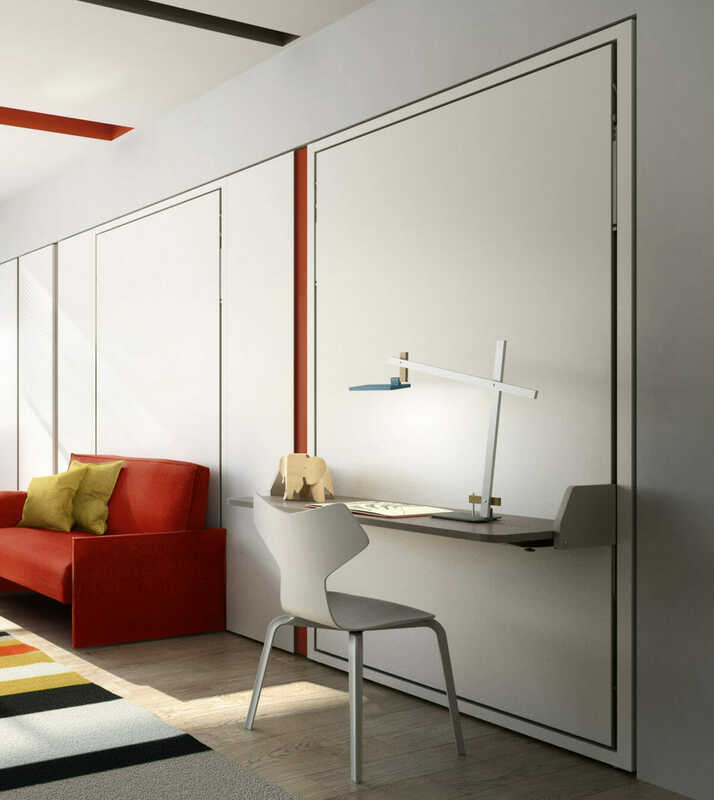 When night falls, the desk lowers to stow underneath — just like the Altea except the beds fold out horizontally, retaining more of the room’s floor space. Both kids get a super comfortable single bed; the only argument should be who gets the top bunk. 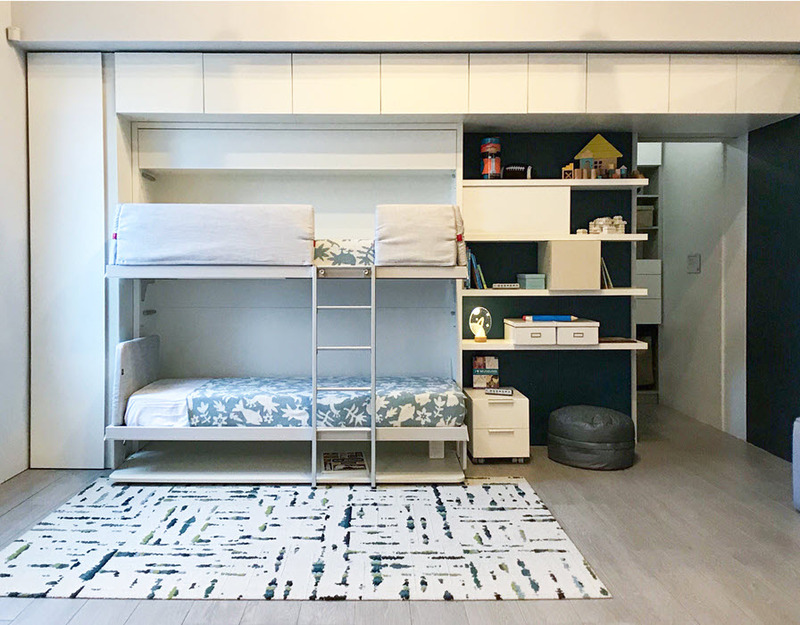 If your teenager is lucky enough to not have to share, the Kali Ponte Board swaps out the top bunk for a spacious storage cabinet and features interior shelving or hanging rods, perfect for stashing his favorite reads, hanging clothes and storing cherished mementos. 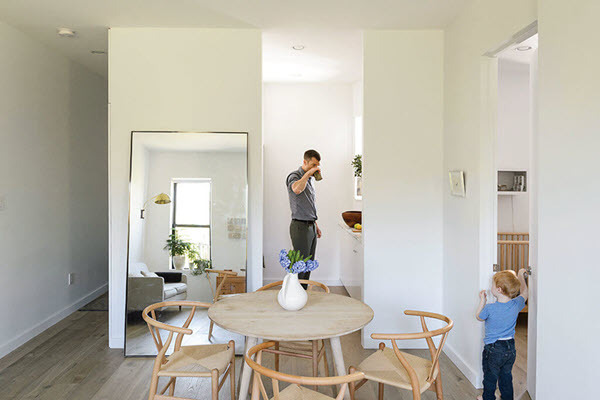 Accompanying side bookcases, base cabinets or boiseries help finish the look, keeping the room looking tidy and polished – a place for everything and everything in its place. 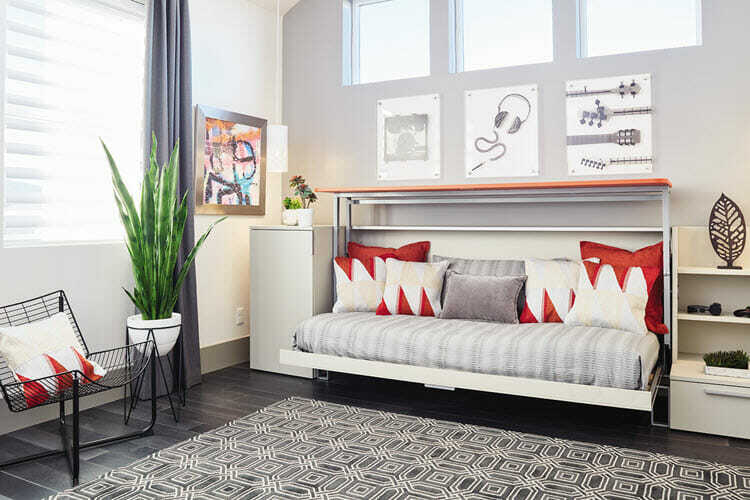 The more intuitive, built-in storage available to your teen, the more likely he is to actually use it — which means less tension over unkempt rooms! Need more desk space, less cabinet storage? 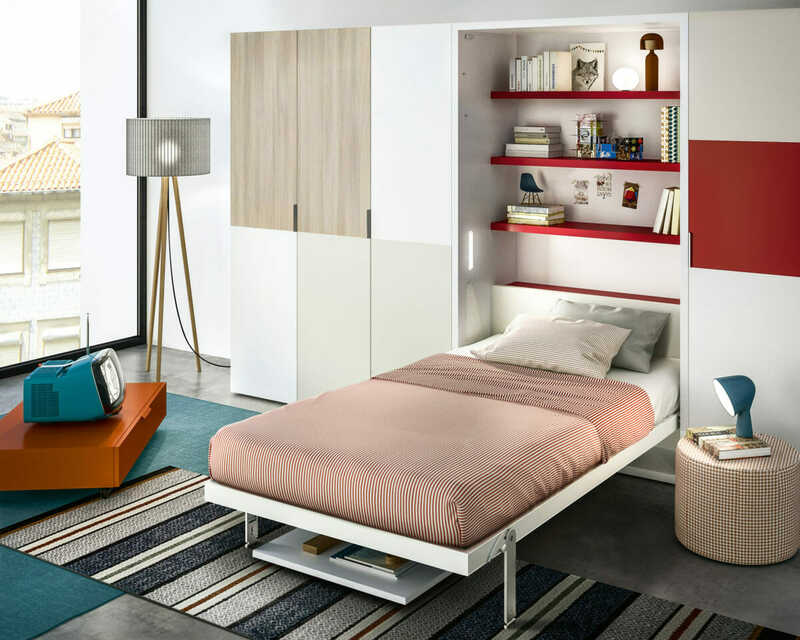 The horizontally opening Cabrio single wall bed offers a wider surface that lifts up gently to store above the bed in its open position. 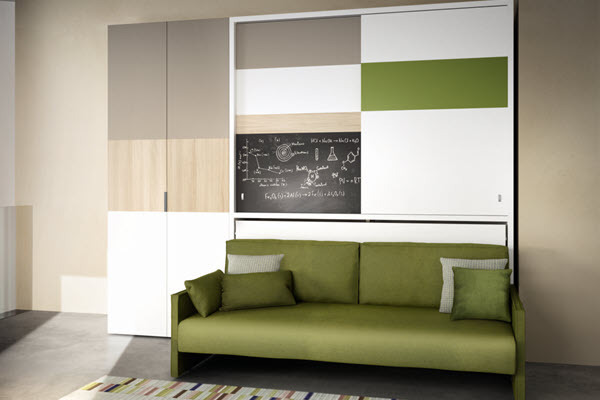 Without the built-in storage you have room to add some playful Tetris Wall Cabinets, available in the same array of beautiful finishes and coordinated to match the beds. 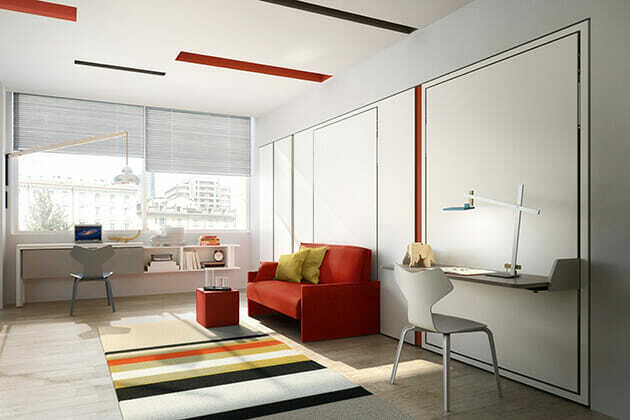 It all adds up to a room of one’s own, with room to grow. 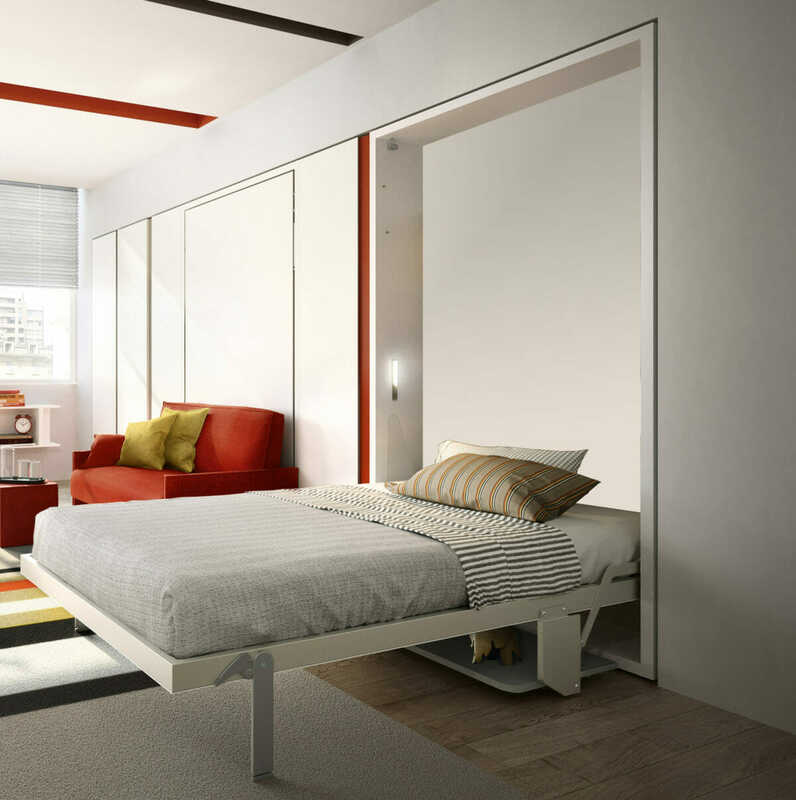 Beds take up most of the floor space in a room — and you’re asleep for most of the time you’re there!